Welcome to Fontana Choice 911 Locksmith! Fontana, California is located in San Bernardino County in the heart of Inland Empire. It is a very fast growing city, with a great history. There are plenty of new and important landmarks that can be seen here. The town is made up of rural and suburban areas, with chicken ranches, citrus orchards, hog farms and walnut orchards. 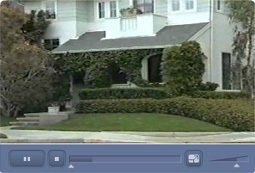 The suburban parts of town feature nice neighborhoods and communities. It’s easy to get around this town with I-10 running across the city from east to west. Those that like the great outdoors will enjoy Fontana because of its proximity to mountain resorts, lakes, deserts and beaches. Each year more and more people are finding this city a desirable place to visit. Whether you’re visiting or living in Fontana, California, it is necessary that you stay secure and prepared. If you only have one set of keys on you for your home and vehicle, you’re only setting yourself up. Imagine the situation you’d be in if you accidentally lost your keys or locked them in the car. Unless you have a locksmith you can call, you’ll be in a heap of unnecessary trouble. At 911LockSmith, we can get you out of such situations and help you prevent them. We offer emergency lockout services to the Fontana and surrounding areas. Our Fontana locksmiths are available to assist you with lock picking and key remakes. Once we have gotten you back into your vehicle, you should think about having duplicate keys made. We only offer high grade keys and locks to ensure security. A lot of customers in Fontana give us a call about keys that have been broken into ignitions and/or locks. This is caused by overusing keys or using low grade keys. You should make sure to keep a close eye on the condition of your key to better predict whether it is still able to withstand turning in an ignition or lock. On the other hand, the key could be in perfect condition, but was just made with poor quality. Give 911LockSmith a call today to get your set of quality duplicate keys. If your key ever happens to break off into an ignition or lock, our locksmiths in Fontana are able to assist you with that as well. We have the proper tools and equipment to gently remove broken keys from locks and ignitions to ensure that you won’t have to replace them. Inexperienced locksmiths are unable to do this properly and could cause more damage, which will in turn cost you more money. There are too many services to list, so don’t hesitate to give us a call if something you need wasn’t mentioned. 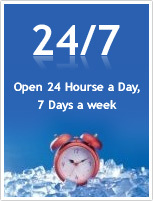 Our Fontana locksmiths are available around the clock to assist you. They are all licensed, bonded and insured professionals. When you receive a service and product from us and it begins to malfunction, just give us a call and we will come back to assist you for free. You are able to do this thanks to our lifetime warranties on all of our products and services. Give us a call today to get your free locksmith quote, at 1-888-666-2050. You can also visit us on the web at www.911locksmith.com.